Melissa is the head coach at Big Blue Strength. She coaches groups in CrossFit, FitCamp, & Pilates. She also accepts personal training clients. In her years in the fitness industry she has worked with a variety of sports teams & athletes. She has also handled many clients with assorted conditions and injuries, post surgery, and post-physical therapy… from ACL’s, ankle sprains, and rotator cuff tears to spinal fusions, spondylolisthesis, and herniated discs to heart attacks and lung transplants. Everyone deserves to move well and Melissa has the eye to get them there. Her clients age from 12 years to 99 years old. Melissa has been coaching since high school, personal training & Pilates since 2001. She established FitCamp 2005 in New Hampshire, her home state. After moving to KY in Fall of 2007, she specialized in Pilates for a few years before bringing back FitCamp in 2010. After being solely in a Pilates studio for years, Melissa noticed many of her clients would go elsewhere for additional fitness needs. Whether it was cardio or strength training, she felt there was a need in Lexington for a facility that provided both… Pilates and Fitness. Melissa started olympic lifting while in college and continued while living in NH. After a hiatus (to focus on her Pilates practice) she returned to the sport in 2010. In 2011 she joined Central Kentucky Weightlifting/ Big Blue CrossFit under the eyes of Coach John Spurlock. She is a KY state record holder and has been competing at a National level for 4 years and is looking forward to the American Open in December. Melissa added Big Blue CrossFit to her 5 year old Fitness and Pilates company Achieving Bodies, LLC in 2014 to create Big Blue Strength bringing the best of movement… health & fitness to the Lexington, KY area. As a son of a strength coach, former UK football player, and current Lexington Firefighter, Mike is no stranger to the weight room. In addition to being an avid weightlifter, he has been coaching for 15 years off and on, around his fire schedule. With his great coaches of the past, his experience training at Westside Barbell during college, and his continued studying efforts “Kamp” is definitely a strong component and resource to our team! 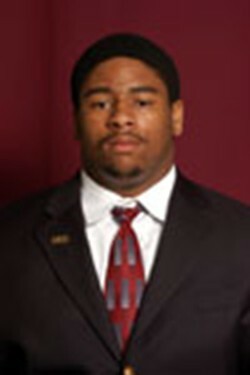 Marcus is a Florida native and former football player at EKU where he earned his Bachelors degree in Health Sciences. He also spent 5 years as an enlisted soldier in the US Army, and is an Iraq war veteran. After being honorably discharged, Marcus returned to Eastern in 2016 to earn his Master’s of Science in Physical Education. Marcus has over 2 years coaching experience working with collegiate athletes under the supervision of EKU’s strength and conditioning staff. He is also experienced in working with wounded war veterans as well as physical training for children with disabilities. Coach Wood comes to us from Minnesota with a Masters degree in Exercise Physiology and over 5 years of coaching and training experience. He is an Assistant Strength and Conditioning Coach at the University of Kentucky, where he oversees the strength and conditioning programs for Men’s and Women’s Track and Field, Cross Country, and Rifle. He specializes in athletic performance, weight loss, and working with special populations.